If travelling with kids is a big undertaking then travelling with loads of kids is a huge one! I sometimes catch myself daydreaming about our travels prior to the arrival of our babies. Everything was so easy. The hardest hurdle we faced was deciding on our destination. These days, planning a vacation takes more thought and action than a mere fleeting desire and a quick phonecall to a travel agent. If we want to holiday anywhere, we must have first and foremost, time to plan followed by a load of surplus cash to fund those plans and the more of both, the better. Just last week I purchased myself a rather pricey ticket to the ProBlogger conference. For those of you who are non-bloggers, ProBlogger is the event for bloggers - a 2 day creative training ground full of inspiration and guidance for those of us who do the blogging thing. ProBlogger 2014, just so happens to be on the Gold Coast in perfect Queensland. I, on the other hand, am located in Melbourne. And so a 'holiday' is in its infant planning stages. Do I go alone? Take a few of the eldest kids? Take the whole family? Given the event is at the end of August, I have a little time to plot out a financial goal for myself (or ourselves?). When it comes to saving for anything, I follow a very structured budget that seems to work for us when times are tight or unexpected. These are my top tips for saving money and bringing a financial goal (a holiday in this instance), into fruition! Time and planning: If a holiday is desired, give yourself as much time as possible to plan for it. This allows you the freedom to find accommodation that is competitively priced along with airfares and other expenses which may be subject to seasonal hikes. For example, we all know school holidays are the most expensive time to travel so avoid these times when looking at potential dates. Doing so can save you hundreds of dollars that would be better spent on attractions at your chosen holiday destination and other fun things. Open a dedicated savings account: Find a decent account with no fees and good interest and feed regular payments into it on a weekly / fortnightly or monthly basis depending on your pay's frequency. Set this account up with your financial institution on auto-payments so that your salary is instantly debited and credited into this account. This money is reserved for you this way and when it vanishes immediately from your pay, it is barely missed! Work out roughly how much cash you need to accomplish your goal and divide that by the weeks, months or years you have available until you reach your goal. This will give you a good idea how much cash you need to set aside on auto-payments regularly in order to get there. I use this method with my children's education accounts which means camps, annual school fees, uniforms and other expenses are pretty much covered. Get the kids involved: Planning a holiday is a hugely exciting time for kids! Get them in on the savings action too. Teach your kids to help save the money by being careful with household electricity and water usage. Did you know that by unplugging appliances such as video games and DVD players when not in use, over the course of a year can reduce your power bill by as much as 25%! If your bills are well over the $2000 mark annually like ours, that's a lot of money saved already! Talk them around constant purchase desires and requests too. Do they really need to buy a book from their school's book club when they can borrow it from the library? Reduce tantrums over 'refusal to buy demands' by reminding them that the prize for not purchasing whatever will be a holiday at...(fill in the blank). Anticipate your expenses and save extra: Always make sure you have spare cash aside for the unanticipated costs of travel. Sickness, accidents, transport and extra sightseeing options unknown at the time of your holiday planning stages are just some of the incidentals you will need to be covered for above and beyond the anticipated expenses such as food. Look for ways to decrease your daily living costs: When visiting the supermarket, buy the cheaper brand. Stop buying coffee every day; carry your own travel mug from home or the office instead. Look at the little things that are leaks in your finances and explore cheaper or free options and alternatives. Sell your unwanted goods: Got a garage of junk brimming over like ours? List your possessions on an auction website or free online classifieds site. I frequently sell items for cost price and many times I have actually made a profit on my old goods! Make tax time profitable: File all receipts as soon as they land in your wallet. Tax time can be a gold mine if you have prepared well for it. Net yourself a profitable return by carefully considering every purchase you make. Ask yourself 'Can I claim this?' If you are unsure, hold onto your receipt anyway in anticipation of tax time ammendments. A good accountant is invaluable in working your receipts into dollars for you and has the added benefit of knowing the very latest news in claims. Equally, plan the purchase of big things to coincide with your tax refund. Consider travelling after your refund is due for an extra cash injection for example. If you find you can't quite reach your financial goal in the time allowable, there are always options open to you. Finance company Get Approved provide personal and vehicle loans amongst many others to make those costly desires come to life quicker. Get Approved can access multiple lending partners on your behalf to secure you the best deal available. They have a great loans calculator on their website to help plan your budget too. I will be putting my best effort in over the coming months to achieve my travel goal, whether ultimately it is myself travelling alone, or my whole family accompanying me. We'll see how we go! What tips do you have or steps do you take when it comes to saving for a goal? Have I missed anything? Please comment below and share! *This post was brought to you in collaboration with Get Approved. 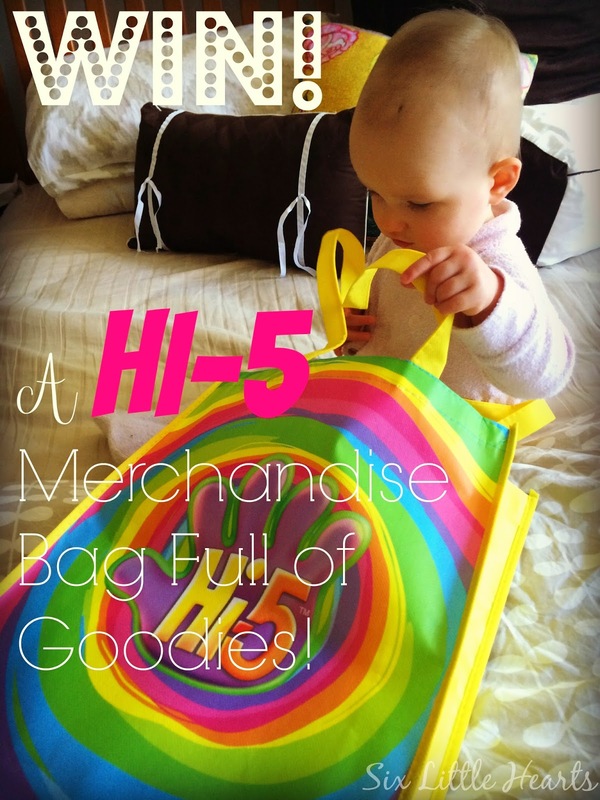 An Exclusive Interview with Hi-5, A Celebrity Recipe and a Giveaway! It is hard to afford a big family holiday - we are yet to do one, mainly staying in our state. Nut like you we are in the early stages of planning for a big one. I have so many things we need to sell and a holiday would be a great motivator. Thank you! There are some great tips there. I'll be employing a few of them as we save for a house deposit. I particularly like the one about getting the children involved. It's a great idea to use the experience of saving for a desirable goal as a learning experience. Is Your Bed The Heart Of Your Home?